This past weekend was a blast for several reasons. 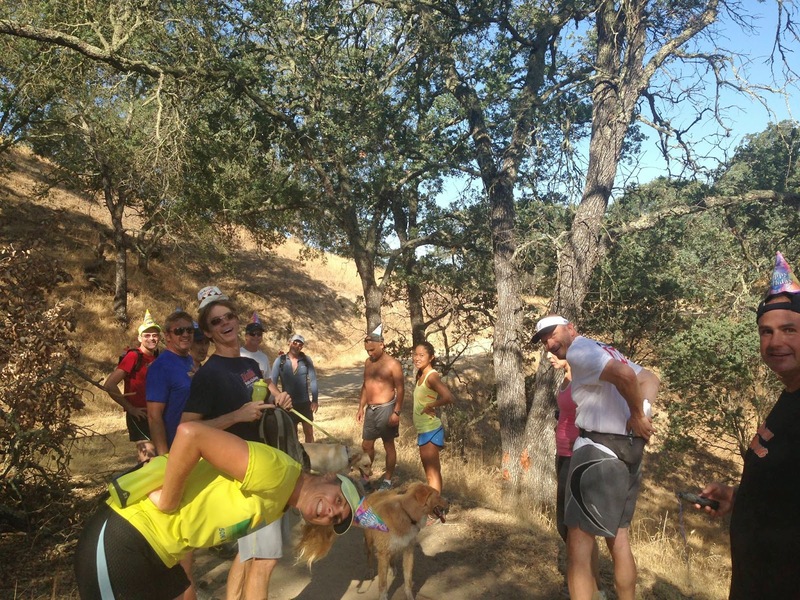 I recently joined a FaceBook (FB) running group named 'TrailTime!' that not only focus exclusively on trail running but also started later in the morning! Many running workouts start 6AM or even earlier so runners can get a workout in and make their long commutes to work or are just early risers. And early mornings generally equates to cooler starts with more running before it gets hot midday. However, for us running sloths (or at least non-morning people) getting to a training start by 6AM means waking up at 5AM and it is just not going to happen especially on a weekend. Thank goodness for TrailTime! and their typical 7-8:30AM start times! 1) Saturday (07/19) - ~10 mile Mt Diablo loop from the Walnut Creek sometimes called the 'Northgate' side. We started from Old Borges Ranch (1035 Castle Rock Road, Walnut Creek, CA ) which is very near, less than half mile, from the Castle Rock park entrance. 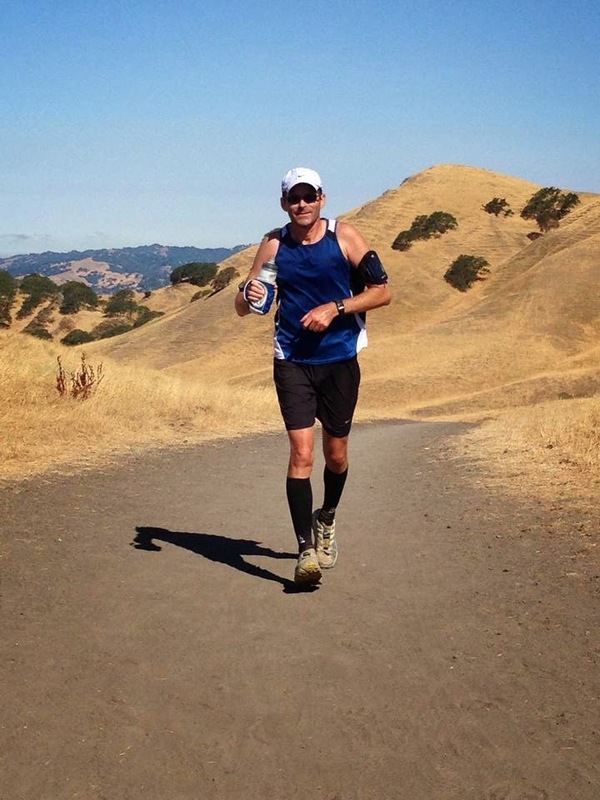 2) Sunday (07/20) ~16 mile Mt Diablo Summit run. There were actually two options both starting from St Timothy, Danville (1550 Diablo Rd, Danville, CA) sometimes called the 'Southgate' side. First option was a normal ~10 mile loop. The second option was a 16 mile out and back: out 8 miles up 3,849' to the fist summit and 8 miles back. It was TrailTime! 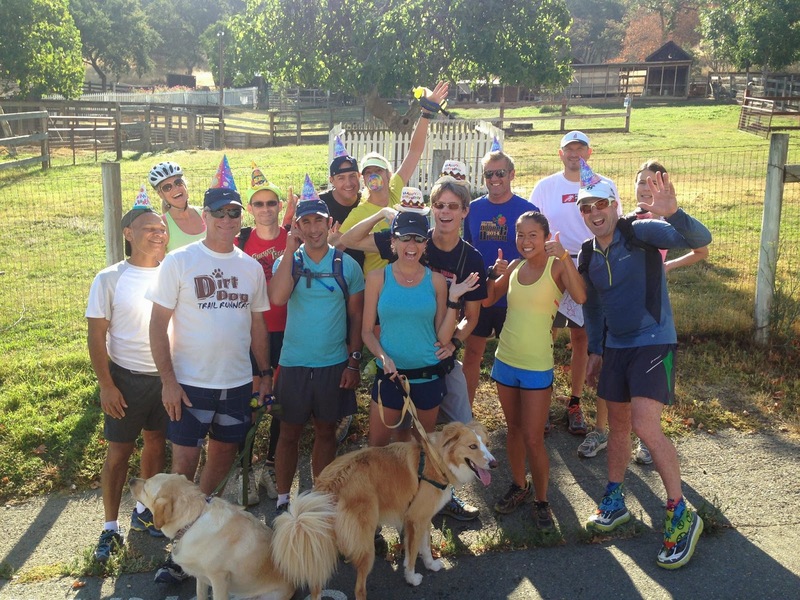 founder, Dina's birthday so yes many of us ran the entire distance with party hats on. We ran at a moderate pace with plenty of meetup and break-off spots for shorter routes which was consistent with a good 'no drop' training run. Dave was the trail leader and had us exploring several secret 'squirrel' paths that looked barely like hints of single-track trail of the main fire roads! Most trails in the area are tree lined with dry, brown grass. It is summer in a desert state after all. There are no water fountains along the way so typical routes circle back to the ranch which has both restrooms and water fountains. Morning was cool ~60s with forecasted high of 85 for the day but we were done well before it got hot. The trails were dusty and in some places you could find poison oak, the occasional rattlesnake and luckily thus far no ticks. There are plenty of rolling fire roads and challenging single track. Here I'm wearing calf mesh guards to keep brush from scraping my calves, a singlet and a single 23 oz hand-held loaded with ice and GU's Roctane (grape flavored with no caffeine). 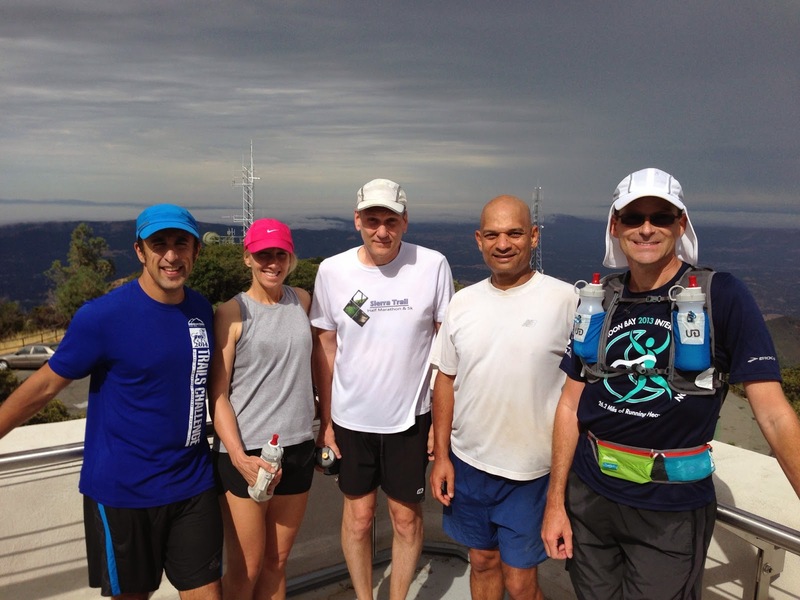 This was a perfect training day in cool morning air, running with friends, along hidden single track. Many of the same people from Saturday elected (politely peer pressured) into running 'The Summit'. There was an official 10 mile loop that many people do on Sunday but the leader Carrie had been wanting to 'do the summit' for a entire season and her desire to 'Summit!' was infectious. I knew I was tapering for The San Francisco Marathon on July 27th but sometimes the lure of adventure into the unknown is just too alluring. We started from the Danville or 'Southgate' side about half a mile outside the park. There were two Summit groups one that started at 6AM and another that started at 7AM. We started with the latter mostly because we were not 'morning people' but decided we didn't want to kill ourselves with a fast pace and just wanted to enjoy the journey up the mountain. Yes we got separated from the main group and yes we got lost at least 4 or 5 times as seen by the many 'spikes' of the main trail if you look at the Strava route pictured towards the end. But, man did we have fun on this trek. 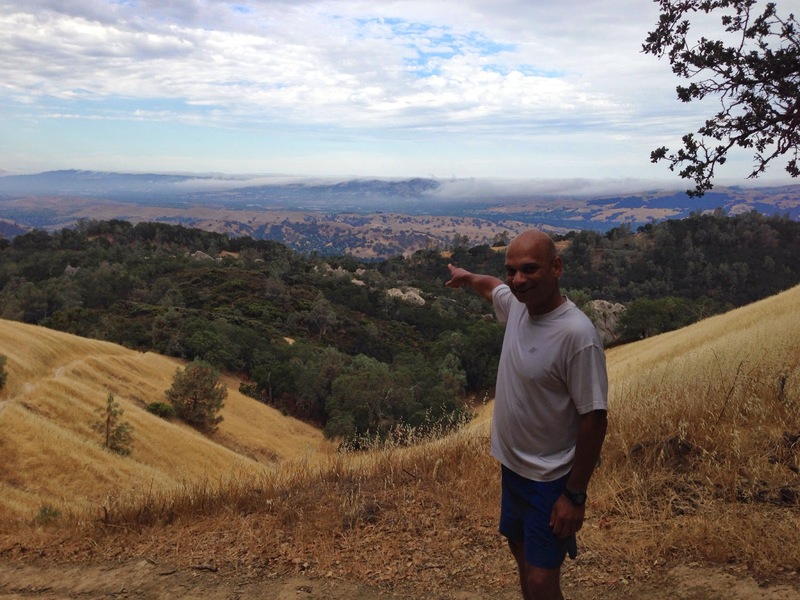 Below I snapped a quick pic of Vivek pointing at our next potential adventure running up Mt Hamilton. Yeah right! We zig-zagged up the mountain from one marker to another. Most of the major trails and junctions are well marked and very easy to follow. We got turned around a few times but mostly because we were unfamiliar with the route and our maps didn't have all the street/trail names. We were, however, no more than 30 min behind due to wrong turns. Not bad. As far as fluid and fuel, there are few water fountains and many were shutoff due to the drought. I elected to wear my Ultimate Direction AK vest equipped with 2 liter reservoir plus two 16 oz bottles. I felt secure that I had more than enough water but man even with only 1.5 liters of water it sure was heavy. I filled the hydopack with just iced water and the two 16oz bottles with a 50:50 mixture of UCAN and GU Roctane. For additional fuel I packed four Hammer gels but only used two. There were water fountains and restrooms at the Mt Diablo campground (Mile 4) and at the Summit (Mile 8). If the weather is cool, you can easily make the run with a single 23oz hand-held and the two above water stops. After roughly three hours elapsed time including detours we finally crested the peak and were treated with an incredibly beautiful panoramic view of the area. I am NOT posting the panoramic view because the picture just would not reflect the feeling of cresting the peak and the expansive view in all 360 degrees. You have to trek up the mountain and see it for yourself. It helped that it was misty, semi clouded and the sun had just broken through. Just stunning views. There were several cyclist also enjoying the peaceful vista. In eight miles you cover roughly 3,450 ft of elevation climb, then the same coming down. The level of workout you'll get is totally dependent on your elected pace. You can cruise and get a good workout or sprint up then down and get an insane workout. Our group generally opted for the former. Although it was kinda hard not to bomb down certain stretches of twisting single track. Just fun trail running.